Built around a collective love for all things cycling, Jenson USA prides itself on inspiring people to ride, experience, and explore. Whether you're seduced by the podium, inspired by the scenery, or motivated by fitness, Jenson Custom apparel is your motivator for getting out and pedaling. 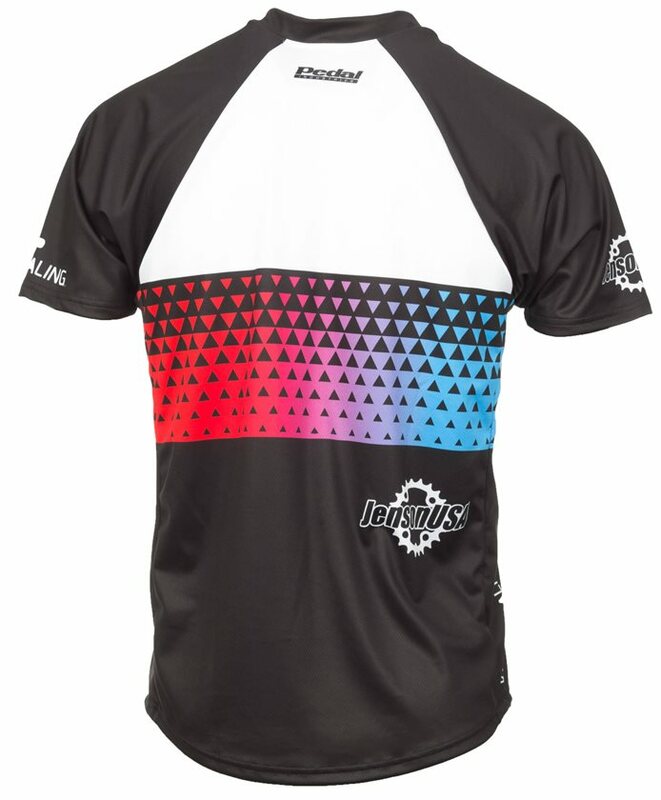 The Jenson Custom jersey is a handsomely decorated mountain jersey with Jenson USA's logo and "Keep Pedaling" mantra in a classic colorway. It's made from lightweight, moisture wicking material that keeps you cool in the heat of the moment, while a loose fit and roomy V-neck leaves space for padding. 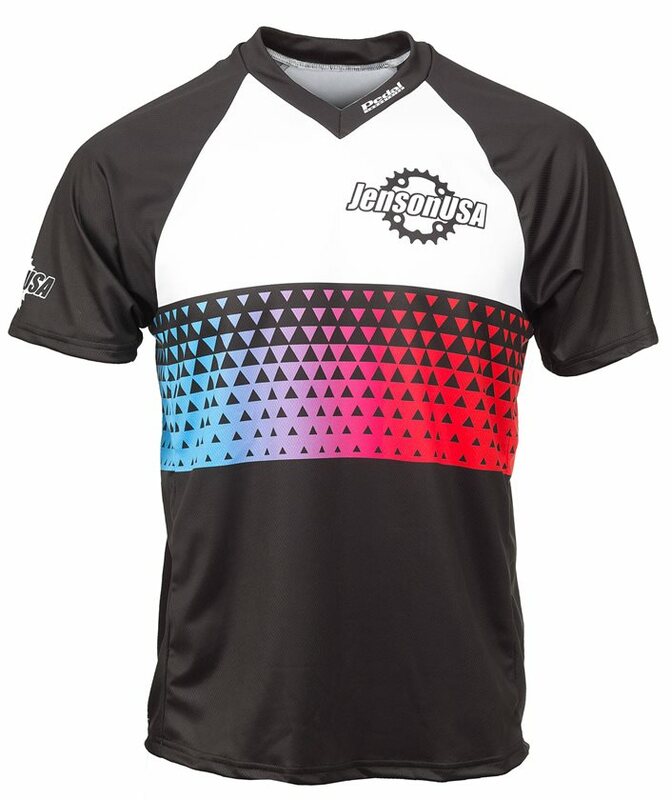 Go hit the trails in style and fly your Jenson USA colors on the dirt.